As one of several architects embracing the use of massive timber (engineered wood products like glulam and cross-laminated timber) –Michael Green has pushed the limits of the material with his latest project. 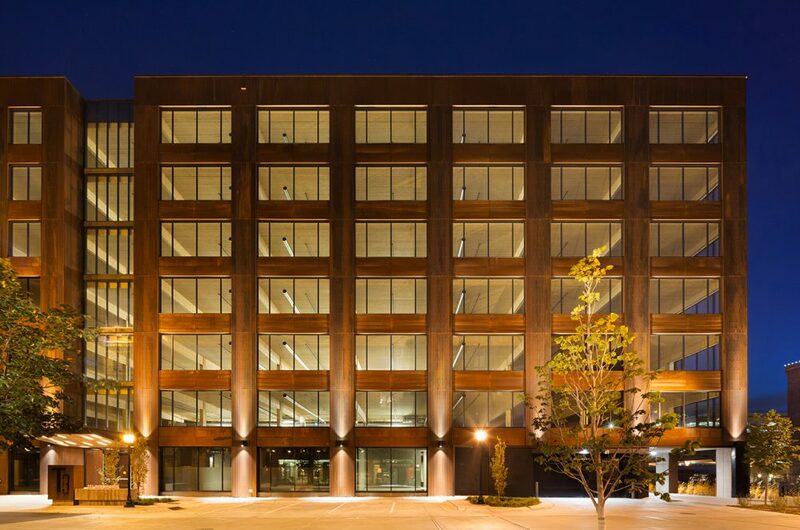 Called T3, which stands for timber, technology and transit, the building has a structure built entirely from wooden slabs, columns and beams. It is located in the city's North Loop neighbourhood, often referred to as the warehouse district, and contains 224,000 square feet of office and retail space (20,810 square metres). Glue- and nail-laminated timber were used to construct the roof, floor slabs, columns and beams, as well as pieces of furniture. "These modern materials bring the warmth and beauty of wood to the interior, and promote a healthy indoor environment for occupants," the Architect studio commented. The wood structural system made it possible to erect the tower faster than a steel- or concrete-framed building of similar size, according to the firm. Workers constructed 180,000 square feet (16,720 square metres) of timber framing in under 10 weeks. The wooden structure yielded other benefits. The tower is lighter than a comparable steel or concrete building, which reduced the depth of the foundation. 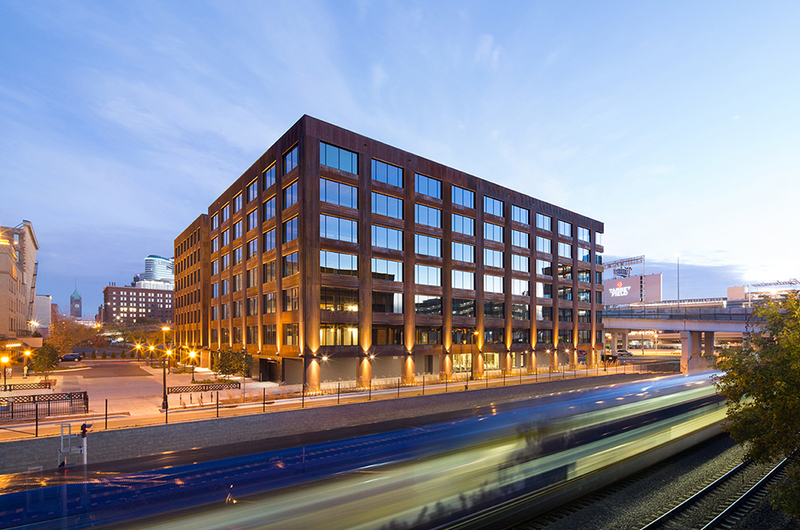 "Additionally, the embodied carbon in the building's wood structural system is lower than that found in conventional buildings found throughout most of downtown Minneapolis and the North Loop," the firm said. “Approximately 3,600 cubic metres of wood are used in the structure, which will sequester about 3,200 tonnes of carbon for the life of the building”. Disclaimer: Copy Right Michael Green Architect Studio. The purpose of this article is to inform on the opportunities related to building with wood.